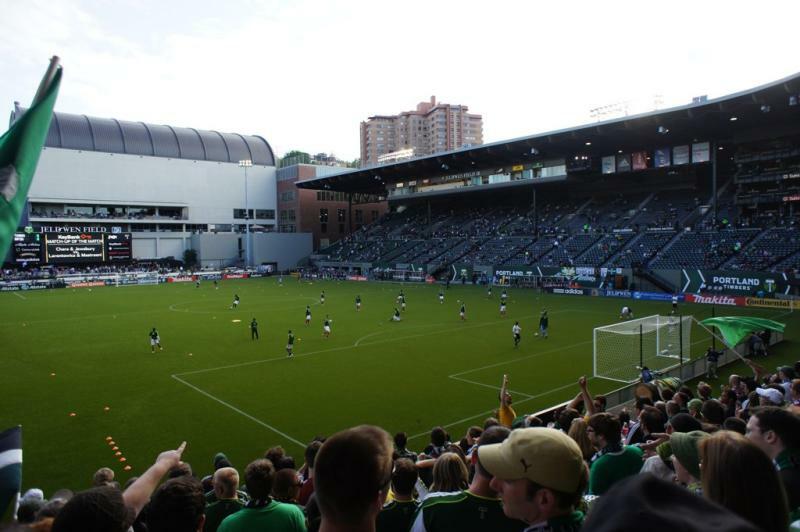 Providence Park, until 2014 called Jeld-Wen Field, has been the home of the Portland Timbers since 2010. It got built in 1926, though sports have been played at the site since 1893. Providence Park officially opened on 9 October 1926 with an American football game. In the following decades the stadium was used for dog races, cricket, American football, and other events. From the 1950s the stadium became a prime venue for baseball matches. The stadium underwent a first major renovation in 1981, which included the installation of a wood-beamed roof, a rare feature in those times due to the high costs of timber. In 2001, the stadium got further upgraded with hospitality facilities and was made “earthquake-proof”. From that moment the stadium was called PGE Park as a result of a naming rights deal. 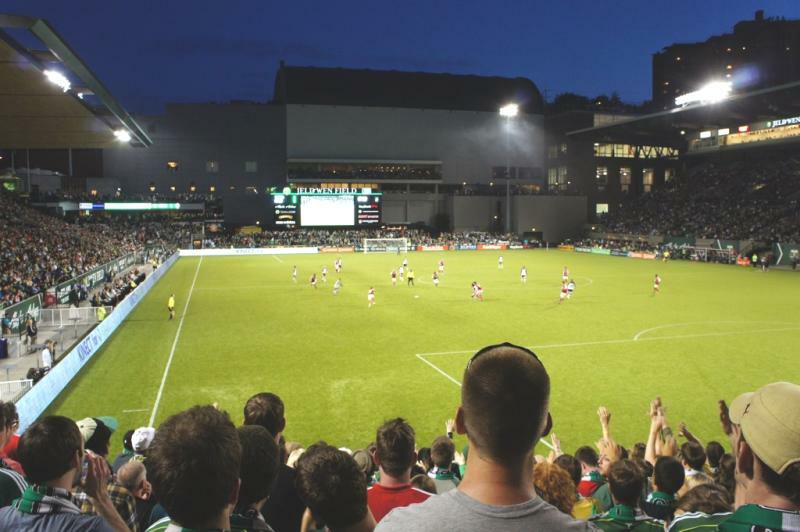 Following the Portland Timbers’ admission to the Major League Soccer, a $40 million renovation program was announced to make the stadium ready for top-level soccer matches. Building works started in 2010 and included a new and adjusted playing surface, additional seating areas, and improved facilities. The changes made the stadium unsuitable for baseball matches, but it is still being used for American football. 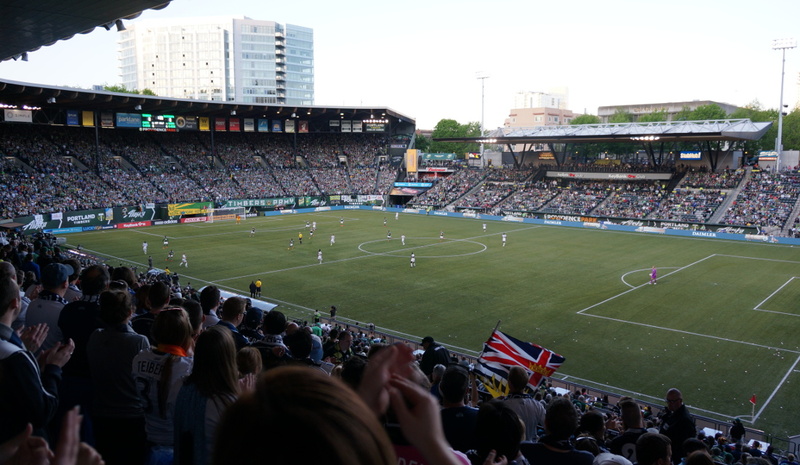 At the same time the new sponsor name Jeld-Wen was introduced, which was replaced again in 2014 following a new deal, resulting in the name Providence Park. In 2017, Portland Timbers announced plans for the construction of a new East Stand, which will add 4,000 seats to capacity and come at a cost of $55 million. Works started at the end of 2017 and are expected to be completed before the start of the 2019 MLS season. Providence Park is located in central Portland, just west from downtown and can therefore easily be walked to. The stadium is situated just off the I-405. If coming from the south, take exit 2a toward Providence Park/Salmon Street. If coming from the north, take exit 2a toward Crouch Street. From there follow the signs to the stadium. 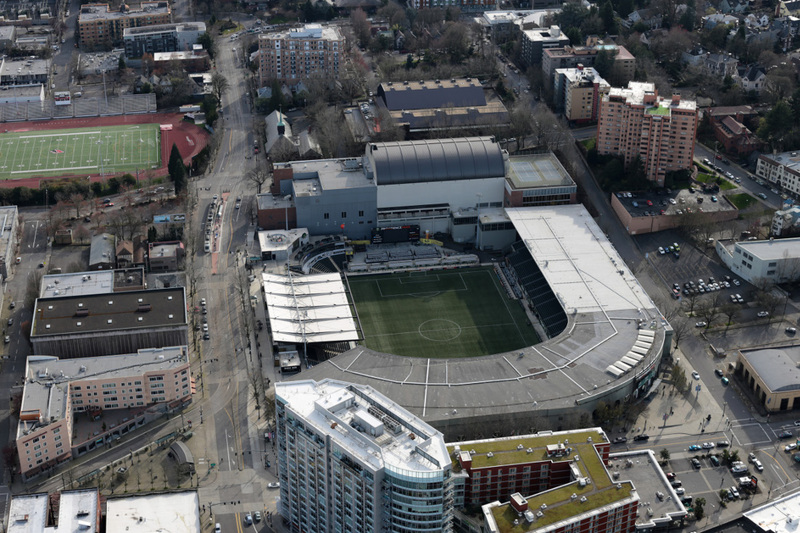 On matchdays one is advised to find parking in downtown Portland and walk or use public transport to the stadium. From downtown the stadium can also be reached with the MAX light rail. Take the blue line in the direction of Hillsboro or the red line in the direction of Beaverton TC. Get off at station Providence Park or Kings Hills/SW Salmon St. The latter station will be closed on matchdays from one hour before kickoff. On matchdays there are also shuttle buses that run between SW Morrison & 5th and the stadium (also stopping at Morrison & 10th). Buses will run from 1.5 hour before kick-off. 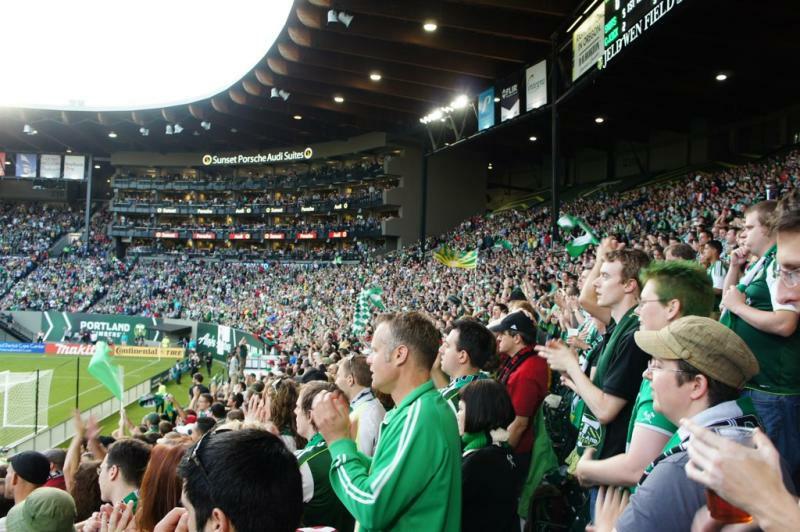 Tickets for Portland Timbers games can be bought online, or at the box office at the stadium. 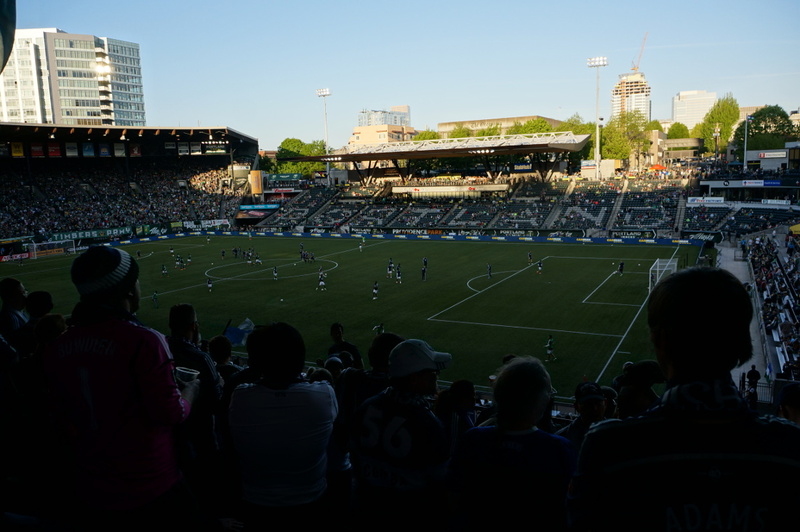 On matchdays the box office is opened from 2 hours before kickoff, though the Timbers currently sell out all of their home matches and it is therefore advised to buy tickets well in advance. Ticket prices depend on the opponent, but typically range in price from $25.00 for a general admission ticket behind the goal to $125.00 for a club seat at the main stand. Expect to pay $10.00 more for a high-profile match. You can find a seating map here. For more information call +1 503 553 5555 or email ticketsales@portlandtimbers.com. Providence Park offer stadium tours to groups with a maximum of 30 people. Bookings must be made at least a week in advance by calling +1 503 553 5429 or emailing events@timbers.com. Portlandtimbers.com – Official website of the Portland Timbers. Providenceparkpdx.com – Official website of Providence Park. Travelportland.com – Tourist information for the city of Portland. Trimet.org – Public transport information for the greater Portland area.